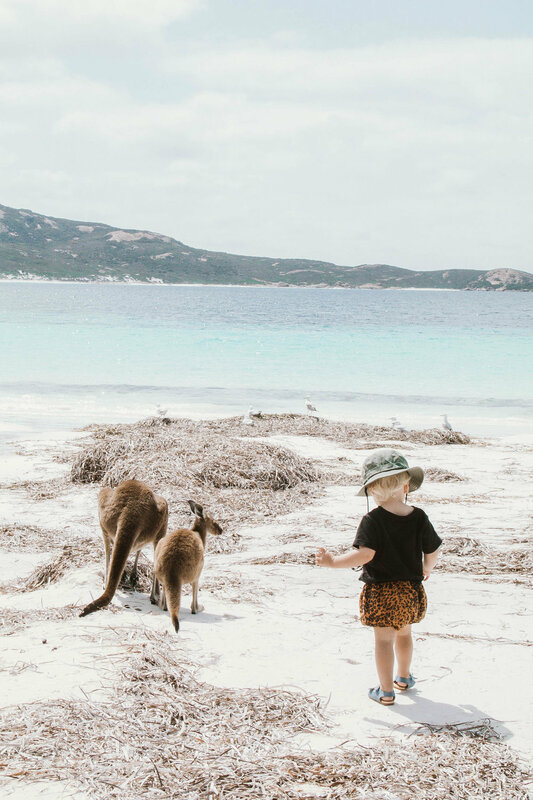 FAMILY TRAVEL: WHY ESPERANCE IS THE BEST KID FRIENDLY DESTINATION! Finding kid friendly accommodation is not always easy. Kids love to explore and experiencing new things all the time, so being cooped up in a hotel doesn’t allow for much space or interest, for anyone. Also, kids are really noisy sleepers so we need two rooms to ensure us parents get a decent night sleep - this makes staying in a hotel super expensive. When we travel as a family, we like to book accommodation with Airbnb or find a cute bed n breakfast. So you can imagine how stoked we were when we stayed at Esperance Chalet Village. We stayed in a one level cabin (no stairs to contend with, joy! ), which had two bedrooms (one bedroom for us and one bedroom for Dusty, brilliant! ), a bathroom with a washing machine (keeping Dusty’s grubby clothes clean on the regular, excellent! ), an open living area and kitchen. Dusty could also safely run around outside and explore the grounds. See why we fell in love with Esperance Chalet Village over here. There are a couple of kid’s parks in town, but just outside of town is the Great Ocean Drive and along here you can find some of the best kids friendly beaches Esperance has to offer including West Beach, 11 Mile Lagoon and Twilight Beach. See all of my favourite Esperance beaches over here. The best surprise of all is that Cape Le Grand National Park is only 45 minutes east of Esperance, which is perfect for travelling with kids. No long drives, hurrah! The airport is only 20 minutes out of town, and this is where you can jump on a small plane and explore Esperance, Cape Le Grand National Park and Lake Hillier from above. So lovely!